At present there are about 287 large scale public and private sector infrastructure projects in East Africa. These projects are together worth US$209.1 billion. A large proportion of the project pipeline is accounted for by the transport (rail and road) and energy sectors, contributing USD 77.5 billion (or 37.1%) and USD 94.6 billion (or 45.2%) respectively. 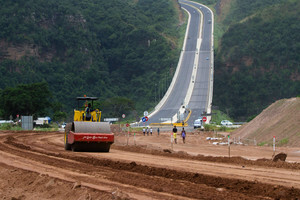 Sources say that investment rates in transport infrastructure have been increasing, thanks to major continental initiatives such as the Program for Infrastructure Development in Africa (PIDA) – which is a strategic continent wide project to mobilize resources and technology across Africa to transform countries using modern infrastructure. Even though the region has some of the fastest-growing economies in the world, East Africa remains behind globally, primarily due to poor infrastructure, which constitutes a significant impediment to the achievement of the United Nations Sustainable Development Goals. But now to change this and move towards an industrialization agenda, the governments in the region have allocated around a third of their individual budgets in the new financial year towards financing infrastructure development. Among the various factors that hinder infrastructure financing in East Africa are higher transaction costs, inadequate availability of bankable projects, permits, and licenses required, as well as the multiple governmental organizanations and agencies that investors must tackle in typical capital projects. There are also obstacles related to limited local capacity for project preparation and tender. Rwanda for example has moved to an effective single window system to ease this major issue. East Africa Community (EAC) is collectively investing more than USD100bn over the next four years to plug their infrastructure gap, which has kept the cost of doing business in the region high. Of this amount, US $78bn over the next ten years would be used on railways, roads and energy projects in a bid to ease transportation and boost manufacturing. So for companies and businesses looking to secure an early entry into the East African Market, this may be the right time to lay the foundation for investment and growth.